We sit down with The Jumps Punter this week and talk all things Cheltenham and the Cleeve Hurdle – one of a huge 9 races from the home of jumps racing this weekend. The Grade Two Cleeve Hurdle is run on the new course over 2m 7f 213 yards. There is no better place to start than the favourite Unowhatimeanharry who has won his last seven starts. His first win of the seven came at this course in a handicap hurdle off a handicap mark of 115. In a remarkable rise up the weights in just over a year we have seen him win the Grade One Albert Bartlett Novices’ Hurdle at last year’s Cheltenham Festival and in his last start off a mark of 165 win the Grade One Long Walk Hurdle. It’s some achievement in 13 months to go from winning a Class Three handicap hurdle to winning two Grade One contests. In the Long Walk Hurdle last time Unowhatimeanharry beat Un Temps Pour Tout, Ptit Zig and Reve De Sivola fairly comfortable. Out of the three mentioned I feel that Ptit Zig was the horse that we didn’t possibly see at his best that day and having run second in this race last year behind Thistlecrack he had The Romford Pele, Knockara Beau and The Young Master behind him. He is the horse that out of them five is the one most likely in my opinion to finish closest to the market leaders. The rain that is forecast will help his cause, however, the slight worry I have regards to him is while in recent times he appears to run his best races with cut in the ground, last season he ran well enough on a couple of occasions on Good and Good to Soft ground. While the ground might not have totally suited him last time I would still have expected him to have finished closer if he is going to be danger here today. Cole Harden won the World Hurdle back in March 2015 and had Un Temps Pour Tout 11 lengths behind him that day, so on that run would make him interesting here. The worry, however, is the forecast rain. He is a much better horse on good ground. If the rain hadn’t arrived getting weight off his main rivals I feel he’d have been a more interesting proposition. 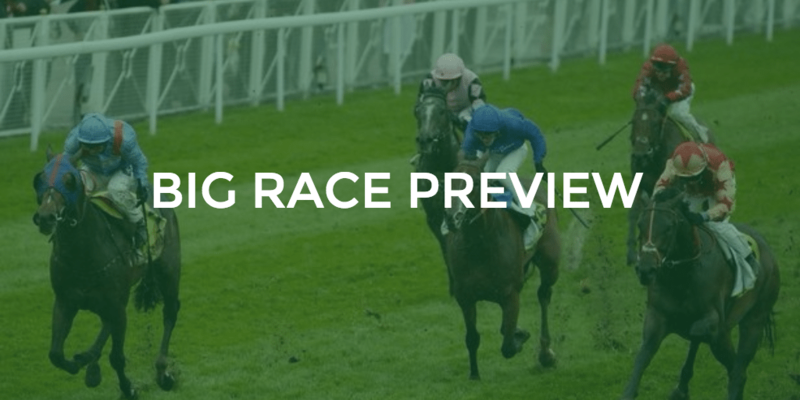 Ballyoptic is the second favourite in this field and rightly so. He reminds me a lot of Native River in the fact that he likes to lead in his races and finds plenty once off the bridle. While in parts of the Long Walk Hurdle we didn’t get a clear view of the race due to the weather. When looking at a replay in between the second last and the last hurdle, Unowhatimeanharry was being ridden to try and get on terms with Ballyoptic at the final flight. Unowhatimeanharry was alongside Ballyoptic when the latter lost his back legs on landing. Given that Ballyoptic finds plenty off the bridle it was no given that Unowhatimeanharry had come with a race winning run. Ballyoptic has fell twice in his last three starts but I felt at Wetherby he jumped the flight well enough but appeared to lose his footing after jumping the hurdle and last time at Ascot he jumped the flight but appeared to lose is back legs on landing while it isn’t great for his confidence I don’t feel his actual jumping of a hurdle is a problem. I feel the best way to ride this horse is from the front. When we look back at his win in the Grade One Novice Hurdle at last season’s Grand National meeting coming up the home straight, he was off the bridle . At the 1 furlong marker he looked booked for second but to his credit he rallied and got back up close home. Having seen the way in which he rallied late on at Aintree I feel the Cheltenham Hill will really play to his strengths there is no better jockey to ride this horse than the man booked here. I’m finding it hard to see Un Temps Pour Tout, Reve De Sivola and Ptit Zig turning the Long Walk Hurdle form around. Given that we can link form through Ptit Zig from last year’s race with The Romford Pele, Knockara Beau and The Young Master, I’m struggling to see them having a say at the finish as well. For me this race comes down to Unowhatimeanharry and Ballyoptic given they jumped the last flight together last time before the mishap it is still unclear to me how the race would have panned out. While Unowhatimeanharry beat Ballyoptic far and square at Newbury I didn’t feel the hold up tactics suited Ballyoptic that day and the more prominent tactics last time certainly saw him in a better light. With the uphill finish here this is by no means a one horse race like the betting at the minute might suggest. I’m not taking anything away from the achievements of the past year from Unowwhatimeanharry, but at the prices, I’m more than happy to take him on here with Ballyoptic. Good Luck with whatever you decide to back. 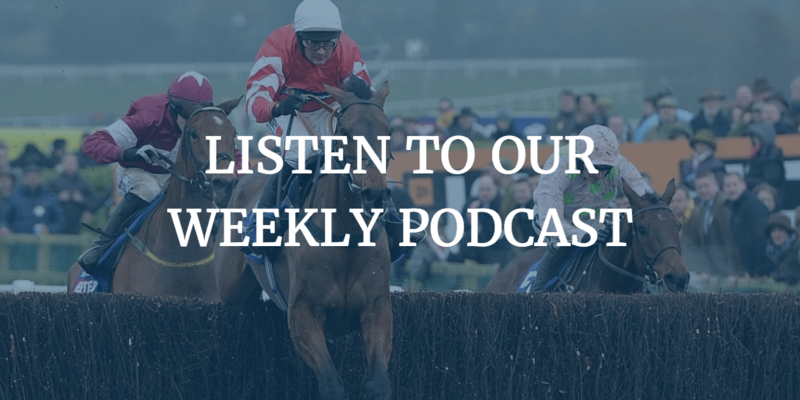 You can join us this weekend from just £2.75 and don’t forget to listen to our podcast as we debate the Cleeve Hurdle, and other races this weekend, in further detail.